Zucchini Everything! With an abundance of zucchini growing over here in my garden, I’ve been trying to make light of the situation and try making different zucchini recipes. 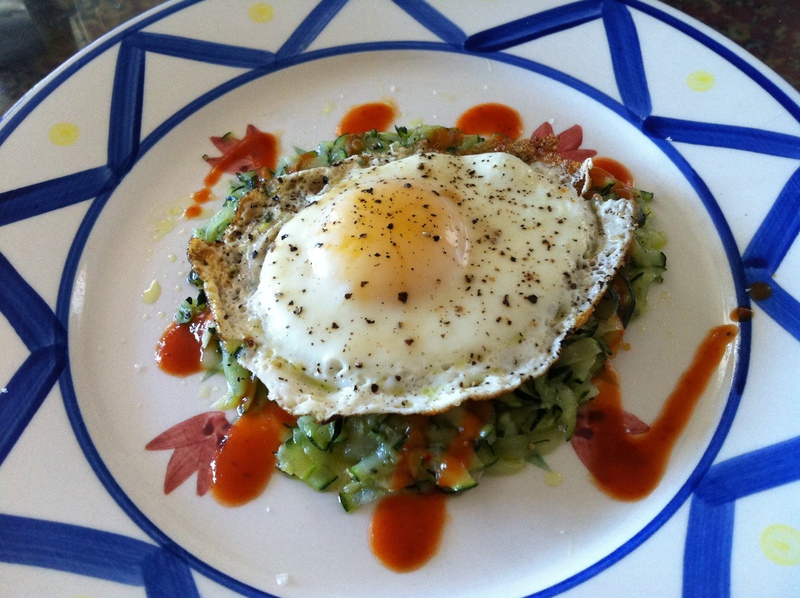 The easiest and my favorite breakfast companion is grated and sautéed zucchini with a fried egg on top. In a medium skillet, I heat the olive oil and add the zucchini. Flipping the pieces to be coated in a very small amount of olive oil. To cut down or completely out the olive oil, add water instead. Sautee the zucchini until cooked throughout and plate. Add you hot sauces and top with a fried egg.